Back to the Armani roots, where it all began in 1984, Mr. Giorgio Armani created a fragrance that would stand the test of time and appeal to all generations beyond its current years.It is the quintessence of Armani style and features Italian Bergamot, Coriander and Cedar. Top notes- Bergamot, Mandarin and Basil. Middle notes- Clove, Lily, Nutmeg. Base notes- Patchouli, Oak Moss and Sandalwood. Explore the entire range of Perfumes (EDT & EDP) available on Nykaa. 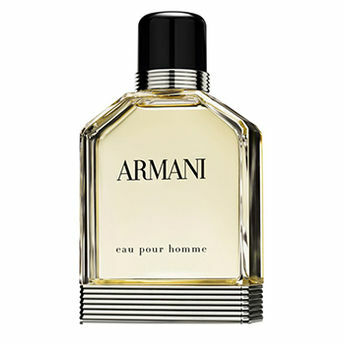 Shop more Giorgio Armani products here.You can browse through the complete world of Giorgio Armani Perfumes (EDT & EDP) .Alternatively, you can also find many more products from the Giorgio Armani Eau Pour Homme Eau De Toilette range.